Grew up with Joanne D’Arc Dakar (Senegal) juniors. Signed for the 2004-05 season by US Rail Dakar. Played college basketball at Georgia Tech (2005-08) and at Southern Methodist (2008-10). Signed for the 2010-11 season by Rio Grande Valley Vipers. Moved to France for the 2011-12 season, signed by Hyeres-Toulon Var Basket. Moved to Greece for the 2012-13 season, signed by Ikaros Kallitheas. Signed for the 2013-14 season by Panelesfsiniakos AOK Eleusina. Signed for the 2014-15 season by AGO Rethymno Aegean. Moved to Italy for the 2015-16 season, signed by Pallacanestro Varese. Moved to Greece for the 2016-17 season, signed by ASP Promitheas Patras. In April’17 moved to Lebanon, signed by Sagesse-Al Hekmeh Beirut. Back to Greece for the 2017-18 season, signed by ASP Promitheas Patras. Won the 2004-05 Senegalese National Championship with US Rail Dakar. 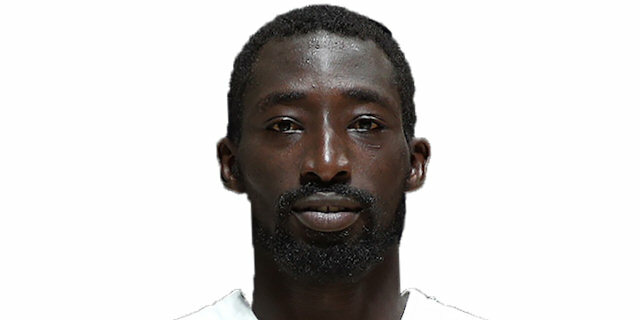 Member of the Senegalese National Team. Won the bronze medal at the 2013 and 2017 African Championships. Played at the 2007, 2009 and 2011 African Championships. Led the 2011 African Championship in scoring (21.7 ppg.). Has been member of the Senegalese U-18 National Team. Played at the 2002 and 2004 African U-18 Championships.